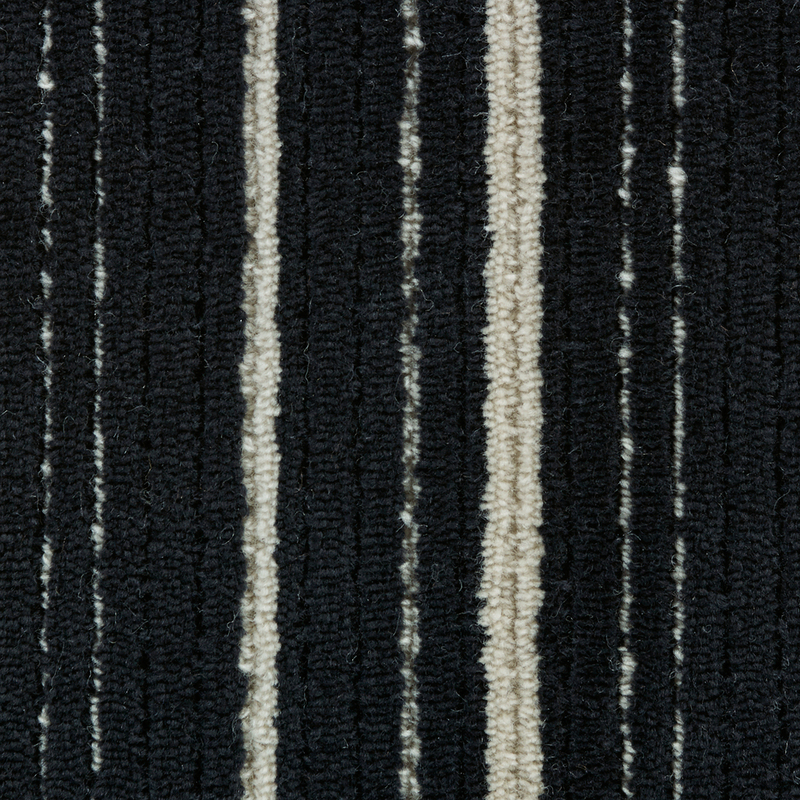 Shimmer is an irregular loop wool striped carpet with wide areas of solid cut and loop areas contrasted against vertical accent stripes. The contrast of cut and loop areas within the same color gives Shimmer additional tonality and depth. 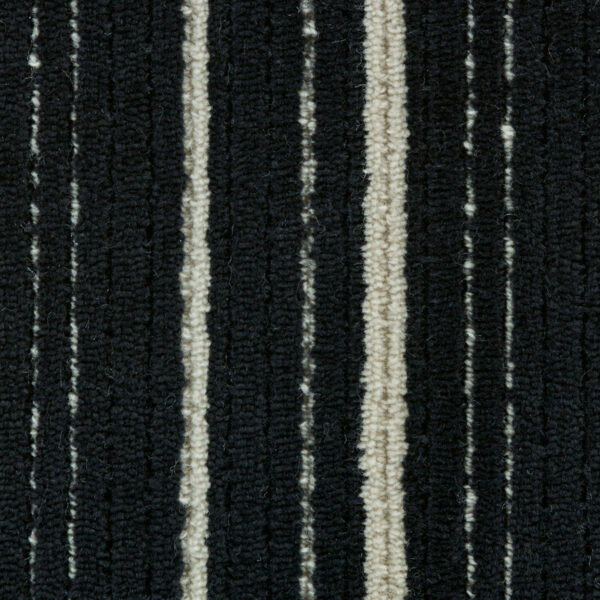 Shimmer is part of the Black Tie Collection, four classic yet bold styles based on a variegated stripe theme, each with a unique texture and rhythm.